A word of caution, the literary device used by the author to facilitate communication between children of different eras is through a ouija board. If this had been a book I had gotten from the library, I honestly would have returned it. Having received it for review, however, I felt bound to finish the book and at least caution other parents about the content. I do give the author credit for a note at the end of the book discouraging children from the use of a ouija board. Children living in the same home, but separated by a hundred years, discover that they can converse through the ouija board in the home. As they get to know one another, they forge a friendship and find ways to help one another. Eventually, they find an alternate way of communicating (other than through the ouija board). The concept of a friendship across two different time periods was fascinating. 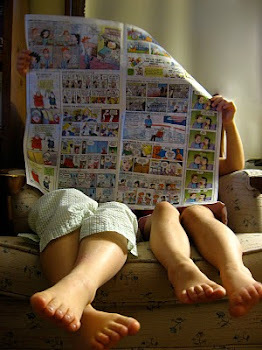 Kids will learn some about history as well as home life from the past. Strong message of trying to help others in need and making sure that you do not remain silent when you know an injustice is being committed. I still strongly caution parents to discuss the dangers of using a ouija board. Unfortunately, not one I'd recommend for my own kids; I advise parents to pre-read before handing it to theirs. 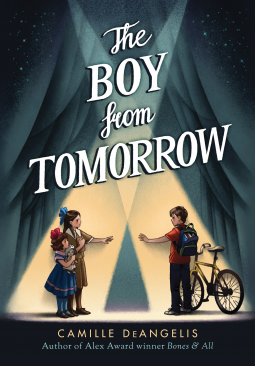 Disclaimer: I received a free digital copy of The Boy from Tomorrow from NetGalley in exchange for an honest review.